eSports is a massive industry that draws huge audiences and seems to be experiencing exponential growth. Its success is drawing attention and investment from traditional sports organizations looking to get involved in this fast growing industry. This session brings together seasoned and successful team owners to share their thoughts on the evolution of eSports – past, present, and future. 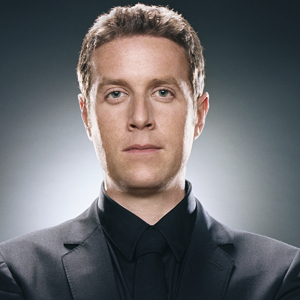 Over the past two decades Geoff Keighley has established himself as one of the leading media figures, live event producers and on-camera personalities in the video game industry. Whether he is anchoring YouTube's live coverage of E3, producing tentpole events like The Game Awards and the landmark 5-hour Discovery Channel series The Rise of the Video Game, or new ventures such as the live theatrical production The Last of Us: One Night Live, Keighley has deftly moved between mediums to chronicle, celebrate, and cement games as the leading form of entertainment. Newsweek says that Keighley is "Mike Wallace meets Kurt Loder for the video game generation."